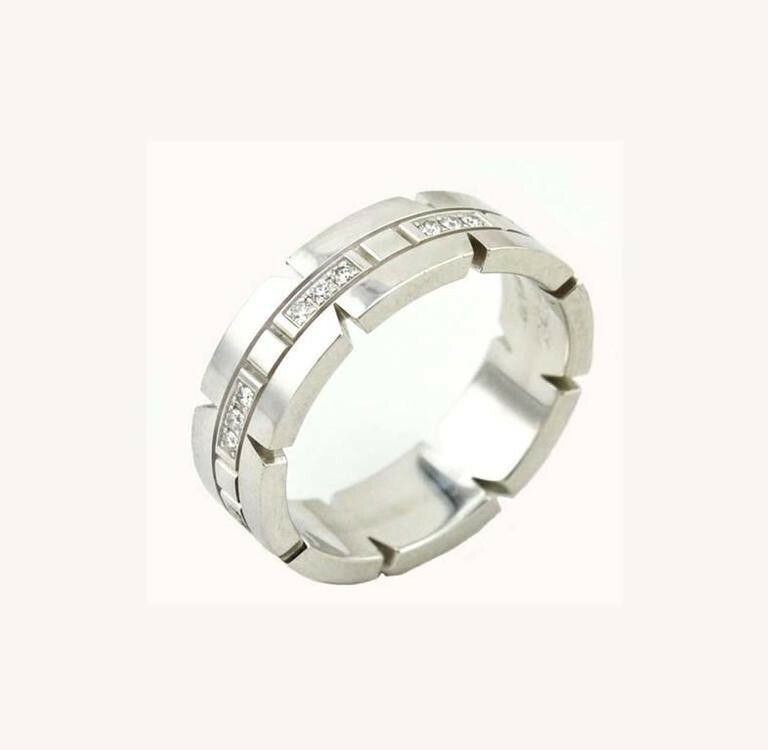 Cartier Tank Francaise band in 18 karat white gold circa 2000s. 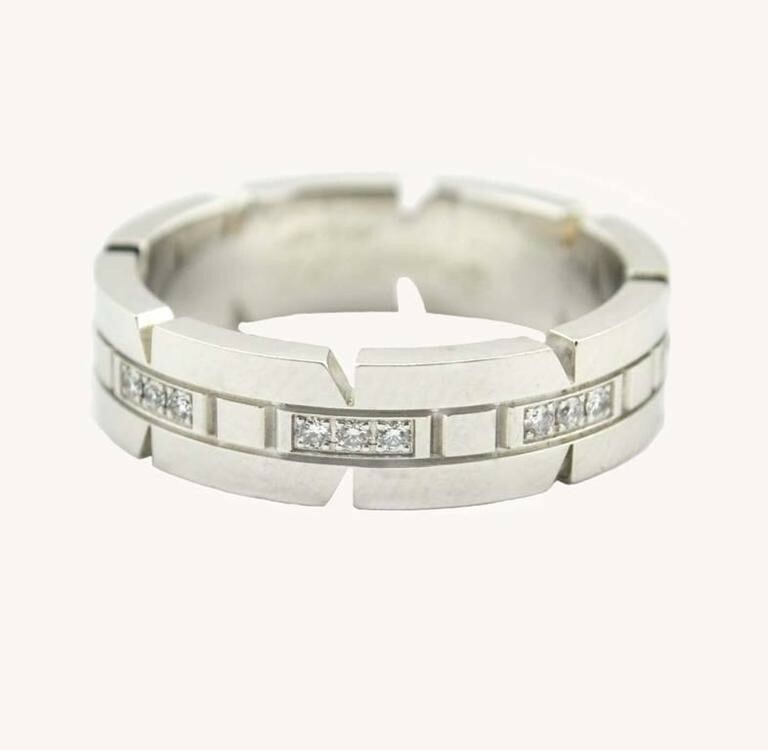 This Cartier "small model" ring features 24 brilliant-cut diamonds, which total approximately 0.17 carats in total diamond weight. 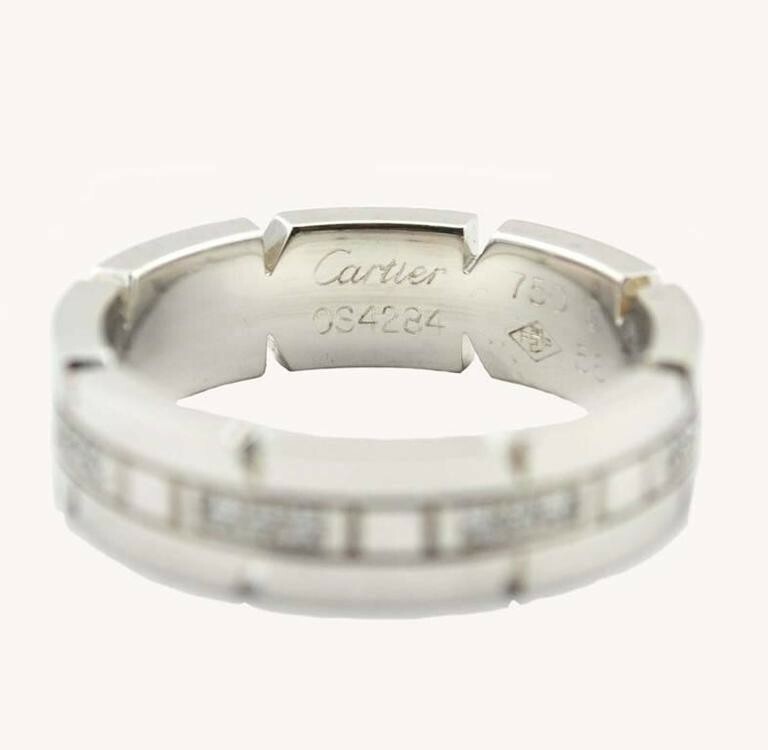 Cartier signed and numbered. 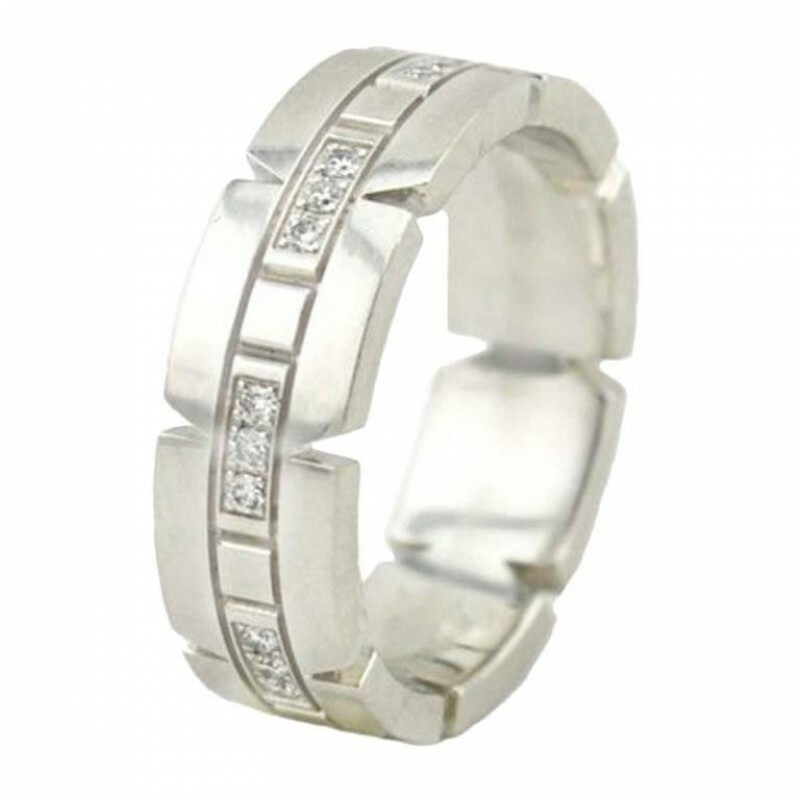 This ring is currently a US size 7.5 (Cartier size 56) and can not be sized. 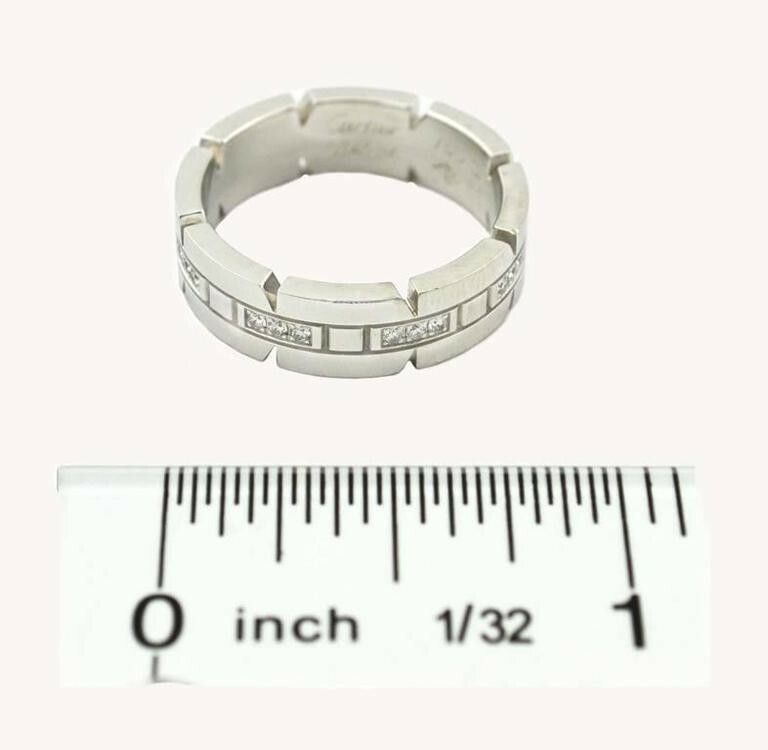 The ring measures approximately 6.35 mm in height and 1.9 mm in depth.